Paperless Office – what are the benefits? We’re a bookkeeping firm and love paper – but we’re a cloud bookkeeping firm, so we’re also passionate about having a paperless office. We invested in a new multi function centre – printer, copier, scanner. And the scanning function was super important because that was going to be our new best friend! Archive all old paperwork and paper files. We created an archive register noting when the paperwork could be destroyed and arranged storage of the boxes at a secure facility. As the boxes are up for destruction, the facility destroys them securely. Instead of filing paperwork away now we scan and save to our computer network. We use Dropbox as our internal network drive so that it’s easy to store and share within the office. We have a secure Shred-X bin and everything that we normally would have filed is now scanned and the paperwork placed into the bin for secure distruction. Each of the computers in our office has two screens. This means that information that we’d normally print can be viewed on the second screen while we work on the other. Anything that we do print, we make sure we recycle and print on the reverse before destroying. Reports that used to be printed and bound for our clients, we now convert to PDF and email. Sometimes we need to work from different locations. Gone are the days of lugging bags of paperwork and files around. Now everything we need can be accessed remotely via our network and emails. Before we had a paperless office we had to rely on making sure paperwork was filed correctly and in a timely manner. If something was misfiled, we could pretty much say goodbye to it forever. Electronic filing makes things easier than ever to find, even if something has been misfiled. In the ‘old days’ we had a wonderful hanging system which at the time was quite state of the art. 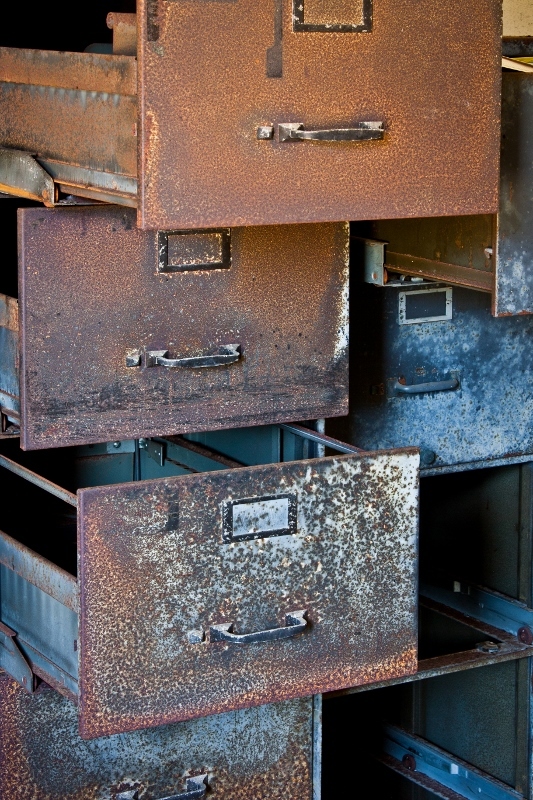 Before that we had clunky old metal filing cabinets. Either way, they took up a lot of space. Now that valuable office space can be used for something else. Well that goes without saying … less paper, less trees cut down. So with the right processes and technology in place, and with a little planning, you too can have a paperless office.